Cove is a very special and romantic place to stay for that longed for holiday, special break or celebration. We will endeavour to make it all that you dream about. Your own entrance takes you up to the light and airy, beamed bedroom which offers everything for the comfort, convenience and enjoyment of your visit to this hidden gem on the Lands End Peninsula. 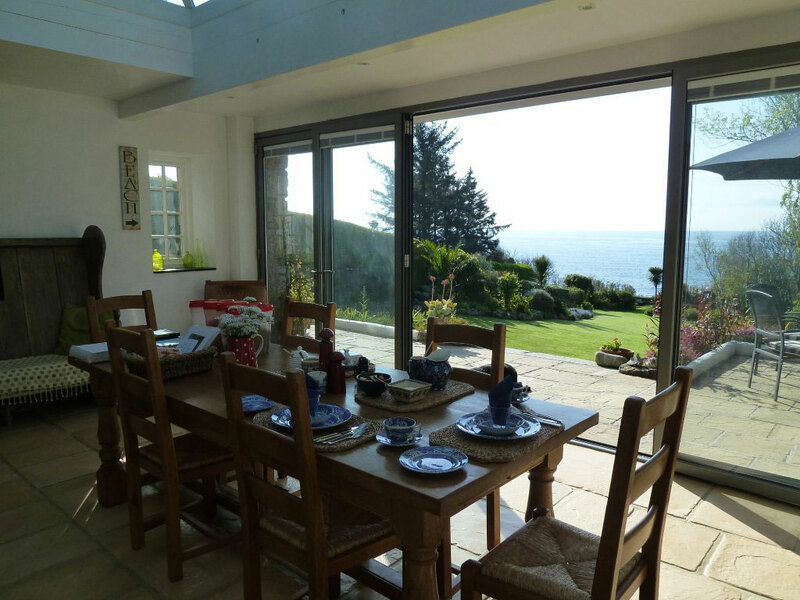 A spacious first floor suite of rooms for two people, with flower decked balcony and panoramic views of 360” , overlooking the sub-tropical gardens to the sea, providing everything for the comfort, convenience and enjoyment of your visit to this hidden place on the Land’s End Peninsula. *This unique, sheltered, coastal cottage with sweeping lawns stretching down to the sea in an area of outstanding natural beauty. 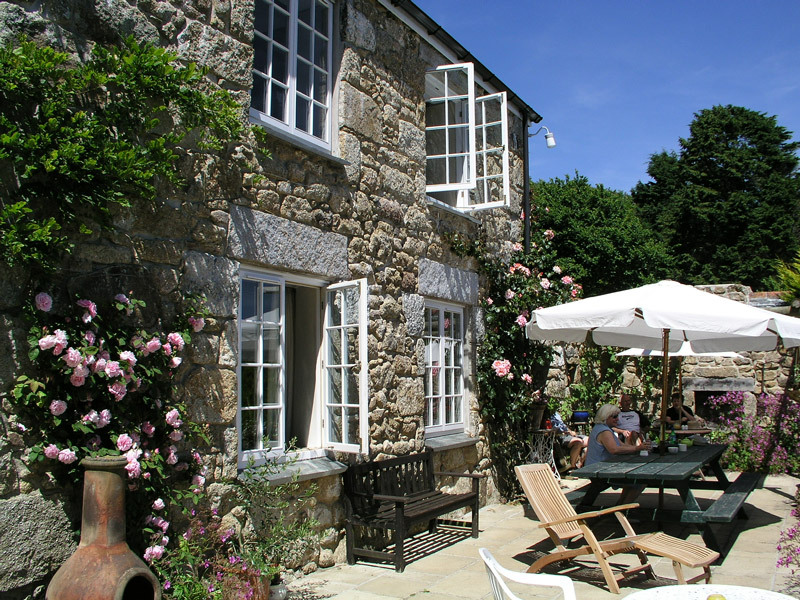 One of the very few places between Mousehole and Lands End offering luxury accommodation actually on the South West Way Coast Path. * The sub-tropical, terraced grounds, formerly a famous tea garden of international renown, are bordered by stream and woods and stretch down to overlook the isolated bay. * Perfect for couples who want to get away from it all and enjoy the most spectacular, panoramic views in perfect peace and seclusion. 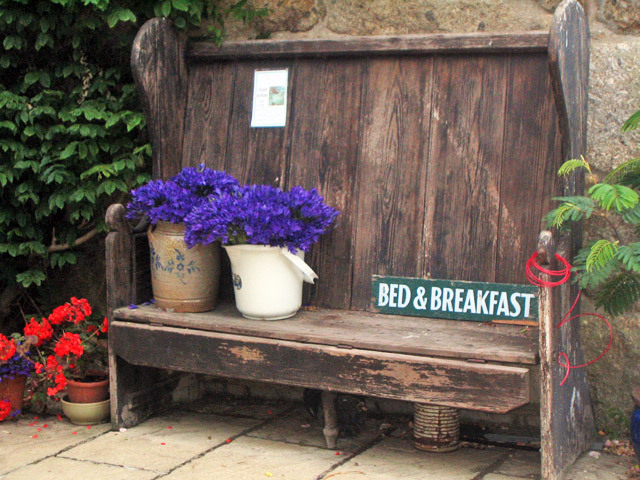 Opportunities to relax unwind and awaken your senses to the magic of hidden West Penwith. * Great for exploring the towns of Penzance and St.Ives and the lovely St.Michaels Mount. Set between romantic Lamorna and picturesque Penberth Cove,,favourite haunts of artists past and present. Nearby is the famous Minack Open-air Theatre as is the Merry Maidens stone circle and numerous other fine white sandy beaches. * There are many stunning Cornish gardens to visit. As keen gardeners ourselves, we will point you towards the famous ones as well as some of the smaller privately owned gems that open by appointment. Take off, in your own time, to explore the delights of West Penwith. John and Sue White offer you a very warm welcome in their very special environment.